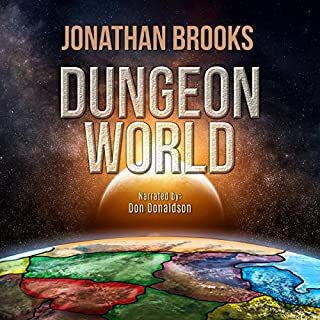 This audio book is an urban fantasy mixed with futuristic science fiction. Lots of video games, historic fantasy, post-apocalyptic narratives, or Dystopian. This fast-paced, heartrending novel of a world after nuclear destruction, a world of mutations from radioactive poisoning. this story grabbed my attention from the first paragraph and clung to it till the last word. Mr. Hummel have done an excellent job of crafting the world and the story. The MC quickly become somewhat OP along with his companion, so their struggles rarely seems like they will fail, but the story remains compelling, which is a testament to Mr. Hummels skill. 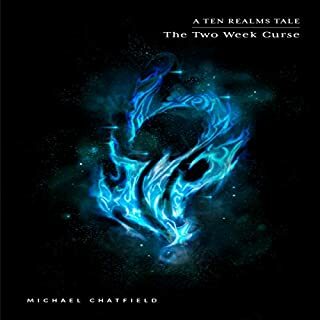 Armen tailor does a great job voicing the MC and the male cast, however it is Anneliese Rennie that elevates this story to something more than a reading of the book, turning it into an experience. The .main protagonist, Jared, wandering alone in search of salvage, unwiting!y bonds himself to a bossy baby dragon, each vowing to help the other's species. The initial 'getting to know you' part of the book is presented with status screens, as in a LitRPG story, an interesting feature. The bonded companions travel through a gross dystopian world having adventures in their dual quest of revenge against the cites and the return of Scarlet's brothers. The story is action packed with several near death experiences. The world building is imaginative and vividly executed. The narration is also creative with Armen Taylor theatrically reading the text and most of the encountered players whilst Anneleise Rennie voices Scarlet, giving good contrast and increasing the feeling of double bonding. Together, they work very effectively.. Unfortunately, however, this reader could feel little empathy for Jared and also has an aversion to dragons, so found the whole adventure overly long, especially since there is frequent recalling of earlier information. But this is a personal idiosyncracy which would probably not affect other fantasy fans. The book has all of the elements necessary for a solid story: the evolution of the main protagonist from man to hero, the struggle to stay alive in an hostile environment, not one but two quests to fight injustices, the rescue of innocents, the evil enemy, lots of action: it's all there, and more. 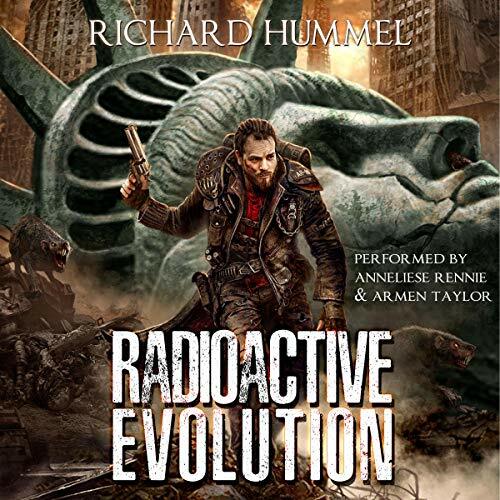 My thanks to the rights holder of Radioactive Evolution, who, at my request, freely gifted me with a complimentary copy via Audiobook Boom. 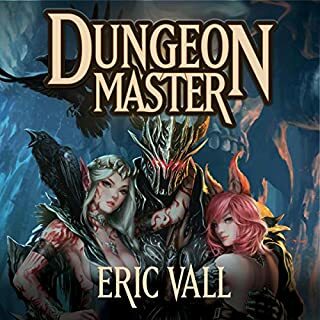 It was not exactly what I had expected from the brief synopsis given and, although I personally found it difficult to enjoy, I would still recommend it to fans of the fantasy genre. Great story with lots of depth in both the characters and technical details. Dual narration worked really well and delivered a more immersive story. Hope there will be a part two. Everything about this book was great. I really enjoyed this book. I was given the opportunity to receive it from the author, Mark Gomez with the understanding that I would review it. This had similarly with "The Dragon Riders of Pern" series of books by Anne McCaffrey. A human bonds with a dragon and their lives are intertwined thereafter. That's where the similarities end. This setting is a radioactive, post-dystopian earth, where the Earth's elete have abandoned the rest of humanity. The narration was very good and in no way hinders the progression of the story. I have no problem recommending this book. Managed to listen in one sitting & loved every minute, waiting for the next one. 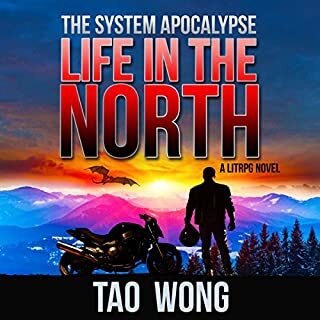 This is the story of a future following nuclear devastation with a few elite on a protected island dominating the survivors who attempt to survive on the mainland. It is a world of mutated animals and radioactivity in which people scavenge to obtain what they need. In the midst of this Jared steals a dragon's egg and becomes bonded with the hatchling. At this point their adventures begin. It is filled with Jared making way too many mistakes and Scarlet having to save him. The narration is mostly excellent except for some of the outburst that are not really needed. While this was not a LitRPG it did exhibit many of the same basic features. Here i was expecting a gritty post-apocalyptic story about a mature MC making difficult decisions and fighting to survive with some focus maybe on the balance/struggle of evolution to survive while trying to keep his humanity. Instead i got a book with a character that has to basically be guided by the hand through everything; whose so afraid of offending people and I'm constantly expecting him to collapse from blood loss considering how much of a bleeding heart he is. 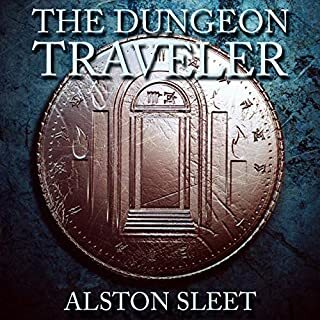 Now typically I'm forgiving of some plot armor and unlikely scenarios happening in LitRPGs (And yes this is a fantasy litRPG) to get the story rolling but this was a bit too much for me as it started to feel unhinged/random. Likewise the MC had to be so naive and blindingly accepting all that's being told to him and then he goes and stakes his life on it all. I was half expecting a twist somewhere along the story when the penny drops and the MC finds he's been mentally manipulated or something... but sadly no. This issue is exacerbated by the narrator whom makes the MC and everything seem more whimsical and fantasy like... He would be a really good narrator for children or teen's books... which i guess this book is meant for. 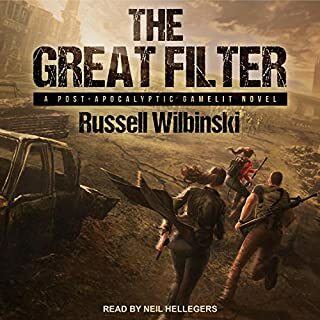 In the end i think my biggest problem with this book is it seems to be sold (by artwork, genre and description) as a gritty post-apocalyptic story and yet i get a disappointingly naive and dumb MC thus it getting 2* overall. And yet, if i were to review this as a YA novel, then i would probably give it 3 star overall as outside of the cool concept, the MC is still damn annoying!! !